The housing market has been improving significantly for nearly a year at this point, but with those upticks in activity across the board in the last several months, it seems that instances of potential fraud also increased. 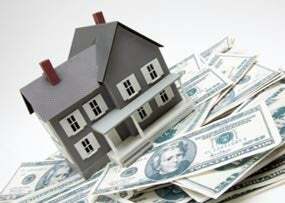 The total amount of possible mortgage fraud nationwide rose 1.1 percent from July to September 2012 from the previous quarter, according to new statistics from Kroll Factual Data. And while there were increases in every region across the country, these were caused not by low-level jumps in most places, but rather massive leaps in specific metropolitan areas. For instance, Flint, Michigan, saw an increase in potential mortgage fraud on a quarterly basis of 50.32 percent, by far the largest of any metropolitan statistical area in which at least 1,000 applications were processed in the quarter, the report said. 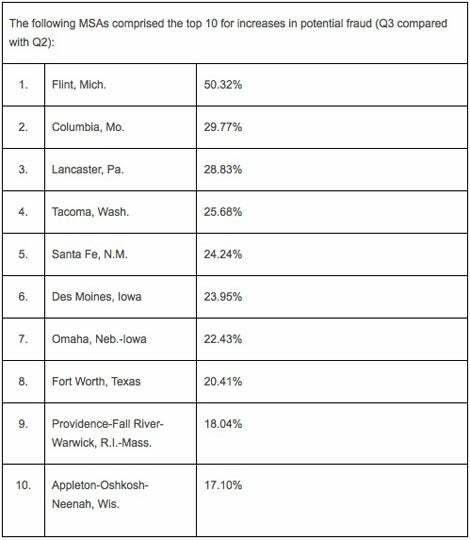 The next-closest increase for any one city was in Columbia, Missouri, where potential fraud spiked 29.77 percent, and Lancaster, Pennsylvania’s jump totaled 28.83 percent. Tacoma, Washington (25.68 percent) and Santa Fe, New Mexico (24.24 percent) rounded out the top five increases. On the other hand, a number of cities also saw significant declines in potential mortgage fraud, though those declines weren’t enough to make up for the surges seen elsewhere, the report said. Champaign-Urbana, Illinois; Bridgeport-Milford, Connecticut; and San Francisco-Oakland, California all saw declines of 18 percent or more, and a number of other cities also came in with drops of more than 17 percent. Experts say the housing market should continue to recover over the next year at least, as rising prices will urge more sellers into the market, which will in turn meet already-high buyer demand that has been boosted by interest rates hovering at or near record lows.